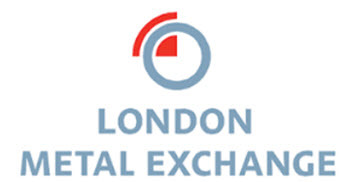 The London Metal Exchange (LME) is the world’s largest market in options and futures contracts on base metals and other metals. Traded average-price options (TAPOs) are also traded on LME. The exchange is located at 10 Finsbury Square, in the London Borough of Islington. Since 2012, LME is owned by Hong Kong Exchanges and Clearing. Many contracts made at LME stipulate delivery 3 months after the trade date. This is not an arbitrary number but a relic from the past. When The London Metal Market and Exchange Company was founded back in 1877, a ship filled with South American metal would need approximately three months to make the journey from Chile to the United Kingdom. Only Ring Dealing Members can trade in the Ring at LME. If you aren’t a member, you need to do your ring trading through one of the members. Ring Dealing Members are also allowed to operate a 24-hour market by trading inter-office. All Ring Dealing Members are also members of LME Clear, authorised under the Financial Services and Markets Act 2000, and regulated by the Financial Conduct Authority. Even though only nine companies are allowed to trade in the ring, roughly 100 companies are involved in the LME. The trading method in the Ring is open-outcry; the old-fashion way of trading at an exchange. The LME is one of very few exchanges in Europe that still maintain open-outcry trading. I the Ring, each of the nine contract types are traded in its own five-minute long time slot. In a trading day, each contract type has two such time slots – one in the morning session and one in the afternoon session. The morning session is 11:40 – 13:10 GMT and the afternoon session is 14:55 – 16:15 GMT. Each session includes a 10 minute break. After the official trades of the morning session, there are 85 minutes of “kerb trading”. After the official trades of the afternoon session, there is just 45 minutes of “kerb trading”. Nowadays, a majority of all trades at the LME are placed electronically. The Ring is becoming less and less important, but is still central to establishing LME official prices. Prices are derived from the most liquid periods of ring trading, and the second trading block in the morning session is key to setting the Daily Official Exchange rates. The official settlement price (the one used when contracts are cash-settled instead of a commodity actually being delivered) is determined by the last offer price before the end-bell sounds in the ring to mark the end of the afternoon session. The price discovery mechanism used by the LME is post-trade transparent, but it is not pre-trade transparent. Developed by Cinnober, a Swedish software company, the FIX-based electronic trading platform LME Select was launched in early 2001. 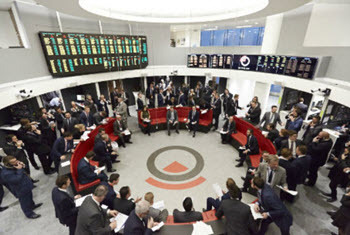 Today, a majority of all LME trades takes place on this platform instead of in the Ring. Some of the contracts traded at LME stipulate physical delivery to settle the contract. Companies that need actual physical metal for their business can use the delivery option to obtain such metal. If they are oversupplied, they can use the LME to sell their excess. In general, the LME is seen as a “market of last resort” for companies that use metal in their business and only a very low percentage of trades on the LME ends in actual physical delivery of metal. Among companies that use metal in their business, utilizing LME for hedging is much more common than needing actual physical delivery of metals. The metals are kept in LME approved warehouses around the world. If you, through a trade at LME, has become the owner of a metal commodity, you will receive the corresponding warrant that you can use to take delivery of the metal. Each day, LME releases updated information about how many tonnes of each metal that is stored in the LME-approved warehouses. The London Metal Market and Exchange Company was founded in 1877. The history of metal trading in London is of course much older, and the Royal Exchange opened in London as early as 1571. The very first metal traded at The London Metal Market and Exchange was copper. Eventually, some trading in lead and zinc started, but the trading in these two metals weren’t officially recognized by the exchange until 1920. The exchange closed down during World War II and wasn’t reopened until 1954. 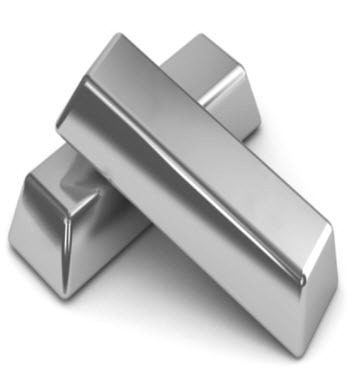 Aluminium and nickel was added in the late 1970s, tine in 1989 and aluminium alloy in 1992. Steel didn’t make an appearance until 2008. Two of the most recent additions are cobalt and molybdenum, both added in 2010. A lot of people assume that gold and silver (and gold and silver derivatives) are traded on the London Metal Exchange, but that is not true. 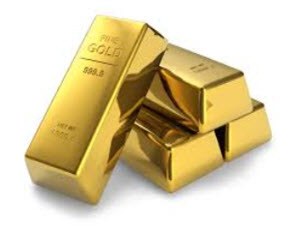 Gold and silver is traded on the over-the-counter market known as The London Bullion Market. Only members of the London Bullion Market Association may trade there. 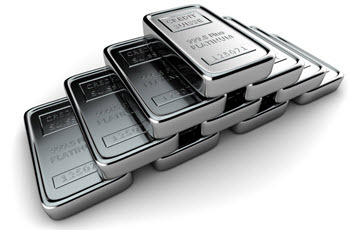 Platinum and palladium is not traded on the London Metal Exchange. Instead, these two metals are traded on the London Platinum and Palladium Market.